One of the best haircuts I've ever received. 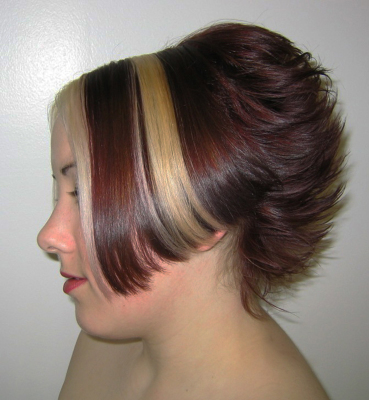 Many Groupon hairdressers have been very fast ( 1 took 2 minutes!) and didn't give me what I asked for but what was easy. Here the cut suited me & he took his time. I will definitely return! 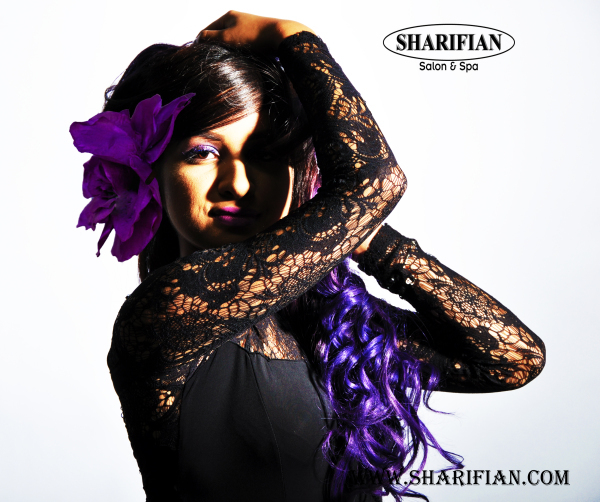 I have been in Toronto for five years and have been to many salons and never found someone that I really liked Then I came across Sharifian Salon and Spa and was blown away! Highly recommended this place: Ben is an awesome person and an incredible stylist Do yourself a favour and go meet this guy! Ben, I want to thank you again for taking such good care of me yesterday. You made this stay-at-home mom feel pampered and special. Thank you for taking your time and creating a masterpiece that I can be proud of. My confidence is through the roof. But more than that I really appreciate finding a hair stylist who is not only brilliant at his craft, but who is honest, friendly and caring. My search is over! P.S. The picture looks amazing! That's going straight on facebook. I'm telling all of my friends about you! And you were right, my husband loves it! Now he must take me out more ;). Had a really good experience here yesterday. The cut is flawless. 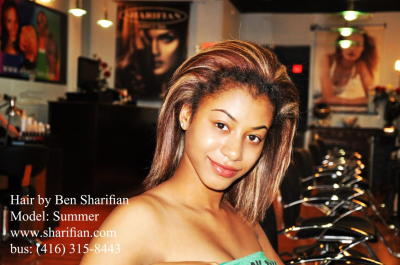 Owner/stylist Ben Sharifian has great skill and took time and care to make sure I was happy. 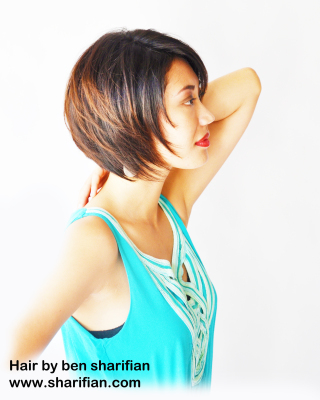 If you are picky about the fine details of a cut, this is the right stylist for you. He's an upbeat, friendly personality. Sometimes available on Sundays, which is convenient for me. I have been coming to Ben for years and he has always done a fantastic job with my hair. Now with his new salon it is even more of a pleasure to come and get my hair done. Same amazing Ben in a beautiful new space. Check it out soon! Just wanted to send you a quick note to let you know that I loved the way you cut my hair the last time I came to see you. The way you thinned it out is perfect. 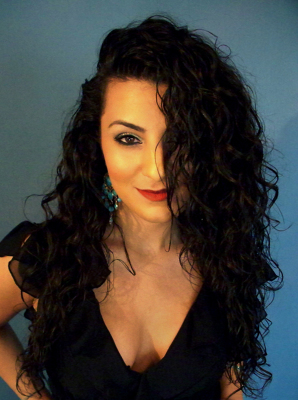 I find it so much easier to blow dry and style. Hope you remember what you did because I am going to ask you for the same cut next time. Thank you. I have been following you around town since 1999 and I am thrilled for you (and me!) to have you re-open your doors back on the Danforth. 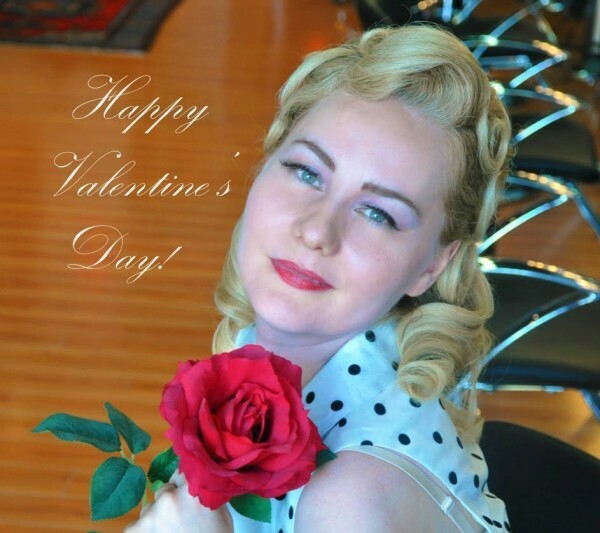 Your new salon is awesome and words cannot describe your talent. I can assure anyone reading my note that they will be extremely happy with their results....Ben simply IS the best! 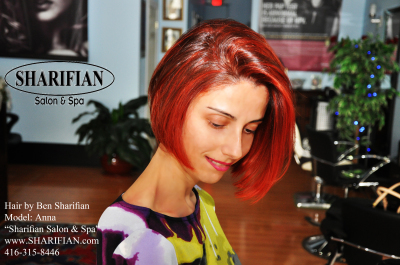 My first time at Sharifian and for the first time since living in Toronto, I left the salon EXTREMELY happy. Ben promised me I would love the cut and colour he was going to do and he was right! 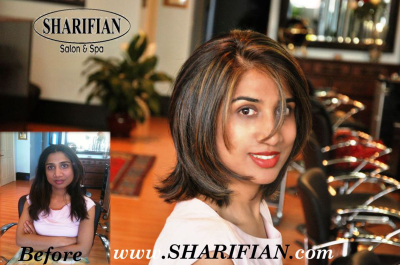 I would recommend Sharifian salon on the Danforth to anyone looking for a professional, affordable cut and colour. I was cutting a fair chunk of hair off and was going from long hair to a mid-length style and Ben created a new look for me with such passion and care. Another great thing with this salon is that they are open on Mondays, which is very rare. I will definitely be going back! Ben is really amazing. Can not believe what he has been able to do with my hair. It was a complete mess ...had been hacked and I was so fed up with waiting for it to grow so I could do something with it. I found Sharifon and walked in without an appointment. Ben took time to consult and suggested what he would do without any pressure. A booking was made for the following day (today). After almost 2 1/2 hours Ben has made me feel like a new person and ten years younger. I had, highlights and a cut, but it seemed much more than that. Ben is a real professional and Aurora his assistant is a delightful person......the salon is clean and welcoming....the music is good too.......(I have posted a photo of my new self on FB and already receiving compliments .....one from my daughter "Wow Mum, you look so much younger. ".....I am 78. Have found an amazing hair salon in my area of the city! Finally! 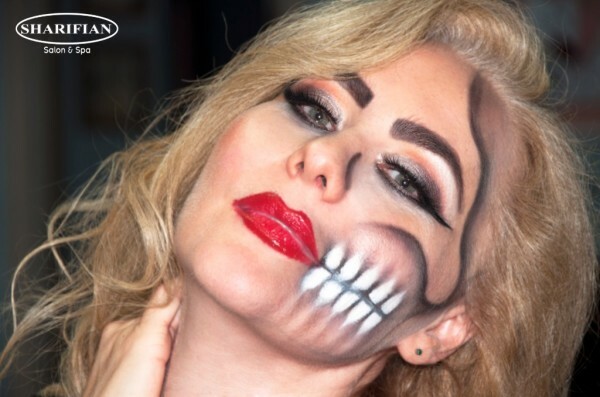 Ben Sharifian is not only a brilliant stylist, he is an incredible, multi-talented artist. His technique is flawless... you can tell he's been in the world of hair for a very long time... since he was 12 years old! He does a lot of hair shows as well - you'll see a ton of his work on the TV screen slideshow at the salon - it's neat! He is open, honest, and clearly passionate about what he does. AND he does a fantastic job (trust me - I have challenging hair). I had a wash / cut / conditioning treatment and colour job on my first visit - all beautifully executed. Loved the seasonal decor - but the whole setup is very clean, calm and inviting. The rooms for massages, waxing, etc. are nice as well - Ben took me for a quick tour around the entire salon, and he's done a great job. I'll be making my next appointment soon! "I was given an appointment right away at a convenient time. I was greeted warmly and did not have to wait. The stylist/owner took time to talk with me before starting to cut my hair. He obviously takes pride in his work, and took his time to do an excellent cut. I felt I received full service, and this was an excellent value. 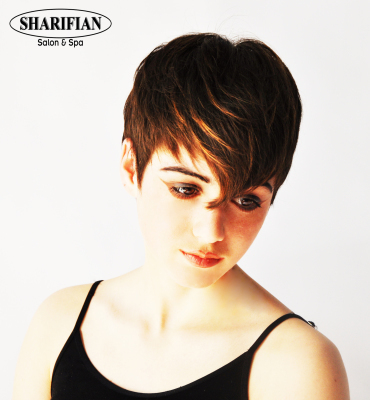 I am enjoying the style, and very happy with this salon." "Excellent, professional, and personal atmosphere. I'm really impressed with everything about this Salon. I'm definitely going back! Keep up the great work." Great place, great location, 5 min walk from Donlands Subway station. Ben is really professional and he will do exactly what you ask Very clean and roomy place with tall ceilings. Great hair products. Your hair will smell and look fantastic. " Thank you for the reminder. I was so excited about my new look I totally forgot about my jacket. I will stop later today to pick it up. "It was totally fantastic. I FINALLY have a decent haircut after all these years. I highly recommend this salon. " Amazing haircut and the owner is amazing! He listens to what you want and also know what will work best, but will do what you want. Excellent! Thank you. Great salon! 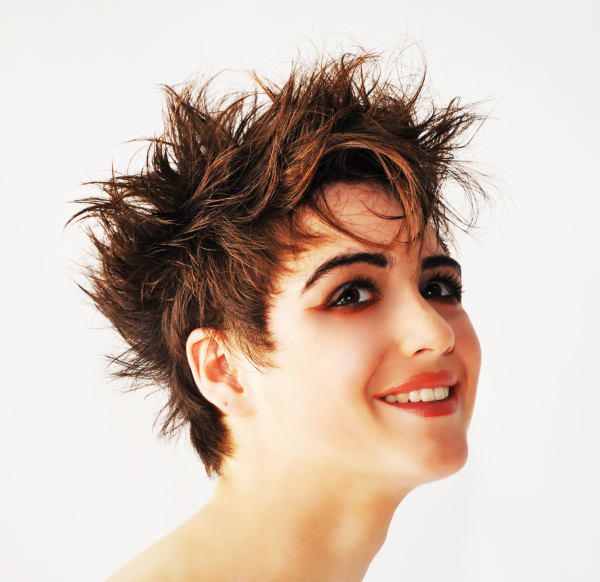 Very friendly staff and the senior stylist, Ben was amazing at cutting hair.